Folks who watch others play games on Twitch often complain that they could do a better job than a given streamer at progressing through a game. Back in February of 2014, a channel on Twitch gave viewers a way to control a copy of Pokemon Red using commands entered by the masses into the Twitch chat window. The social experiment was a weird and wild success. Pro wrestling fans often claim that they could plan out and organize wrestling matches (known as booking) better than the pros. The KnokX Pro Twitch channel’s Live Interactive Wrestling show will give viewers to control live, human wrestlers through Twitch chat. The Live Interactive Wrestling show will give #IAMWRESTLING fans on Twitch the opportunity to interact with the show in real time. The show is planned to go on once a week and give fans the opportunity to push their favorites to victory with every episode. All sorts of match types are planned, including Street Fights, Cage Matches, Battle Royals, and Ladder Matches. 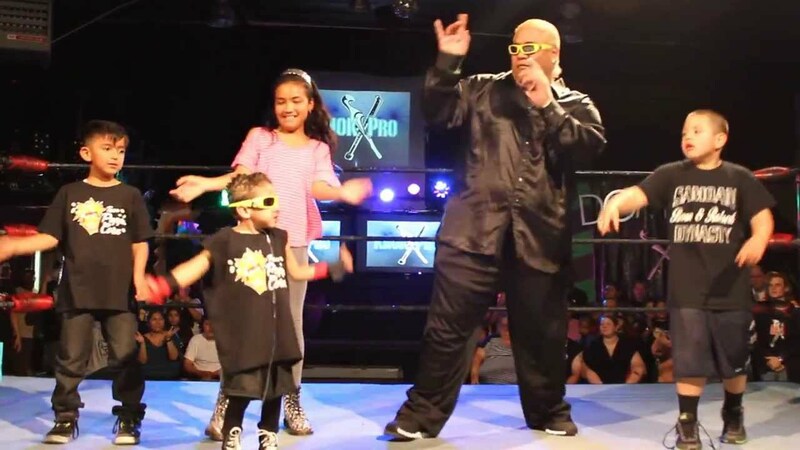 Additionally, KnoX Pro is delivering the goods with the talent, as the show will feature more than a few world famous wrestlers, headlined by former WWF/WWE star Rikishi. Rikishi is known best for his time as a member of the decidedly racist 80s tag team, The Headshrinkers and for a late career turn with the faction Too Cool, who were famous for dancing before and after matches. He is a former World Tag Team Champion, Intercontinental Champion, and 2016 Hall of Fame Inductee. Rikishi is a part of the famous Anoa’I family that includes The Rock Dwayne Johnson and former WWE Champion Roman Reigns. He is the father of current WWE Tag Team Champions The Usos. In addition to Live Interactive Wrestling, KnokX Pro’s Twitch channel will be featuring other live content, including “In Rikishi’s Life” and KnokX Pro Academy training and seminars. You can catch all the action over at their Twitch channel.